During this time, North Korea has become a nuclear threat – estimated to possess up to ten nuclear weapons out of the 16,300 worldwide (compared with Russia’s 8,000 and the 7,300 in the United States) according to the Ploughshares Fund’s report on world nuclear stockpiles – and South Korea has become the world’s major economic success story. In a national broadcast on Jan. 16, South Korean president Park Geun Hye presented her vision for reunification by using the Korean word ‘daebak‘ (meaning ‘great success’ or ‘jackpot’). “If the two Koreas are united, the reunited Korea will be a daebak not only for Korea but also for the whole world,” she said. Since she became leader of the South Korea’s conservative ruling party in 2013, Park has been referring to a new world that would come from a unified Korea. Her argument has been that if the two Koreas are reunited, the world could be politically less dangerous – free from the North Korea’s nuclear threat – and a united Korea could be economically more prosperous by combining the South’s economic and cultural power and the North’s natural resources and discipline. However, observers have said North Korea has no reason to give up its nuclear weapons as long as it depends on its nuclear capability as a bargaining chip for political survival. “Nuclear capabilities are the North’s only military leverage to maintain its regime as it confronts the South’s economic power,” said Moon Sung Muk of the Korea Research Institute of Strategies (KRIS). In fact, there are few signs of changes. North Korea has conducted a series of rocket launches, as well as three nuclear tests – all in defiance of the U.S. sanctions that are partially drying up channels for North Korea’s weapons trade. Amid recent escalating tension between Washington and Pyeongyang over additional sanctions, activities at the 5-megawatt Yongbyon reactor in North Korea which produces nuclear bomb fuel are being closely watched to monitor whether the North may restart the reactor. In the meantime, South Korea has been denying the official supply of food and fertilisers to North Korea under the South Korean conservative regimes that started in 2008. 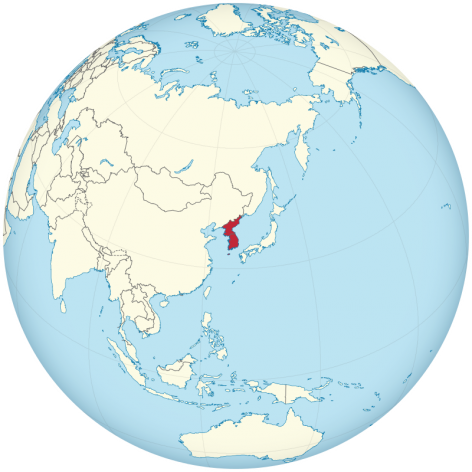 During the liberal regime of 2004-2007, South Korea was the biggest donor of food and fertilisers to North Korea. Then there appeared to be a glimmer of hope when North Korea’s enigmatic young leader Kim Jong Un presented a rare gesture of reconciliation towards South Korea in his 2015 New Year’s speech broadcast on Korean Central Television on Jan. 1. In South Korea, hopes for possible inter-Korean talks have been subdued. “What North Korea wants from dialogue with the South is not to talk about nuclear or human rights, but to have the South resume economic aid,” said Lee Yun Gol, director of the state-run North Korea Strategic Information Centre (NKSIS). The government in Seoul remains cautious about Pyongyang’s peace initiatives. “We are seeing little hope for any rosy future in inter-Korean relationships in the near future, although we are working on how to prepare for the vision of ‘daebak‘,” said Ryu Gil Jae, South Korean reunification minister, in a Feb. 4 press conference. North Korean observers have said that economic difficulties have been pushing the North Korean government to relax its tight state control over farm private ownership. North Korean farmers can now sell some of their products in markets nationwide, in a gradual shift towards privatised markets. Further, according to Chinese diplomatic academic publication ‘Segye Jisik’ (세계 지식), quoted by the South Korean news agency Yonhap News, the North Korean economy has improved since its new leader took office in 2012. From a 1.08 million ton deficit in stocks to feed the 20 million North Koreans in 2011, the deficit now stands at 340,000 tons. According to observers, this report, if true, could send the signal that if North Korea is economically better off, it may be politically willing to reduce its dependence on the nuclear card in any bargaining process with South Korea. U.S. sanctions have been used in the attempt to force North Korea to denuclearise, thus restricting North Korea’s trade, and the U.S. government levied new sanctions against North Korea on Jan. 2 this year in response to a cyberattack against Sony Pictures Entertainment. The FBI accused North Korea of the attack in apparent retaliation for the film, The Interview, a comedy about the assassination of North Korean leader Kim Jong Un. But, while sanctions may work in troubling ordinary North Koreans concerned with meeting basic food needs, they have little impact on the North Korean government. “North Korea’s trade with China has become more prosperous and most of North Korea’s deals with foreign partners are behind-the-scene deals,” said Hong Hyun Ik, senior researcher at the Sejong Research Institute. South Korea may now stand as the only hope for North Korea, as the United States and the United Nations gather to turn tough against the country over the human rights issue, and South Korea may find itself faced with a ‘two-track’ diplomacy between the hard-liner United States and its sympathy for the North Korean people. In past decades, North Korea has usually played out a game with the United States and South Korea. “In recent year, the United States has been using ‘stick diplomacy’ against the North Korea, while South Korea may want to shift to ‘carrot diplomacy’,” said Moon Sung Muk of the Korea Research Institute of Strategies (KRIS).